When the right care and attention, pet rabbits can make loving, friendly and happy additions to your home. Under the right circumstances, two male rabbits living together may work well, although not necessarily always. Remember, all bunnies are different. Rabbits are social, so they do well when living in pairs. Some rabbits may become lonely, anxious and stressed out by living on their own. Regular social interaction is a positive thing. 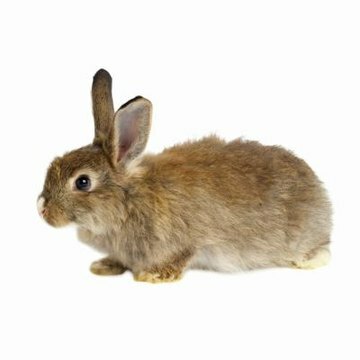 A pair of male rabbits may work together well, but the People's Dispensary for Sick Animals organization notes that male and female pairings may be more successful as long as both of the animals are neutered and spayed. Male and female rabbits tend to bond to each other with more ease. Housing unfixed male and female rabbits together will lead to pregnancies. If you are looking for harmony with two male rabbits, neuter them both. Unfixed male rabbits may get very aggressive with each other -- constantly fighting for dominance. Also remember that sibling rabbits usually work much better than those that are completely unrelated. Introducing a new male rabbit to an existing one may be a tricky and complicated situation. It usually is a lot easier to house rabbits from the same litter together. If you bring a new rabbit into a cage with another one, it's crucial to closely monitor the situation. If you don't, harmful physical attacks could occur. Bring two rabbits together in a neutral setting; never place a newbie into an existing rabbit's cage. The fluff balls can get rather territorial. Never allow two rabbits to spend time together alone until you have spent a significant amount of time watching over them. Housing a duo of male rabbits, in good scenarios, may bring upon a variety of benefits. From mutual grooming to keeping an eye out for any threats or danger while the other one is sound asleep, two boy rabbits may be able to form a close and trusting bond. House Rabbit Society: Are Two Rabbits Right for You?